If you’re a fan of Chilling Adventures of Sabrina, you’ll probably know Netflix are releasing a special holiday episode called A Midwinter’s Tale. 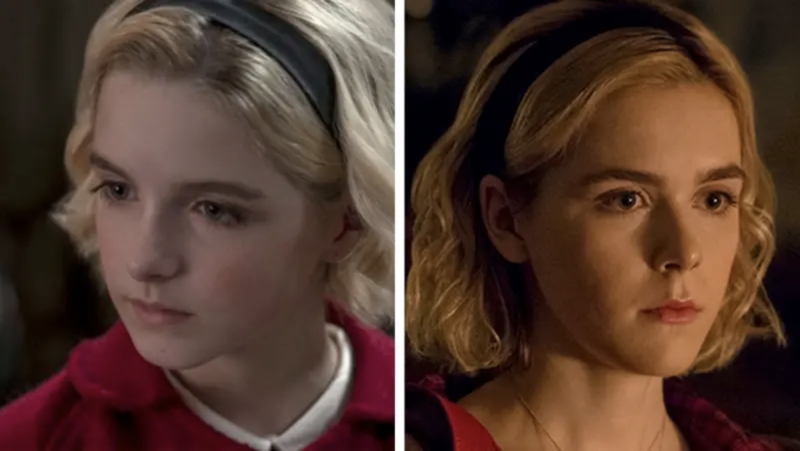 We’ve seen a couple of sneak peeks of the episode, and we know Mckenna Grace will be playing a young Sabrina in some throwback scenes. But Netflix has just released the first full trailer for A Midwinter’s Tale, and it definitely looks suitably spooky. And — surprise, surprise — the Chilling Adventures version of Santa isn’t the jolly, generous old man we all know and love. But hopefully we’ll get a ~little~ bit of Solstice cheer from our friends in Greendale. We’ll just have to wait til the special premieres to find out. Chilling Adventures of Sabrina: A Midwinter’s Tale debuts on Netflix on December 14th.